At a recent film festival it became natural for people to ask Joss Whedon questions about his much-anticipated Marvel movie The Avengers. Who could blame them? It’s a film that’s two months away and consists of an ensemble cast of big names; a movie that Marvel Studios has built up to with its prior projects. With at least four of the actors in the movie having starred in their own film, you would expect the runtime for The Avengers to go well past two hours to give each character room for development and their own moment to shine. Right? Come on, it’s Joss Whedon we’re talking about here. The man works incredibly well with an ensemble, as proven with his movie Serenity. And sure, his first cut of The Avengers was three hours long, but he knew the general audience wouldn’t like that. Whedon went on to say that a lot of ideas he really liked were ultimately cut from the movie, simply because they weren’t really moving the story forward. He concluded that anything that isn’t important to the plot is baggage that should be left out. And one of the big questions about The Avengers? What army is helping Loki? There was speculation that it’s either the Skrulls or the Kree. Whedon explained that no, neither alien race are in the film. He also didn’t shine any light on what the army actually is. 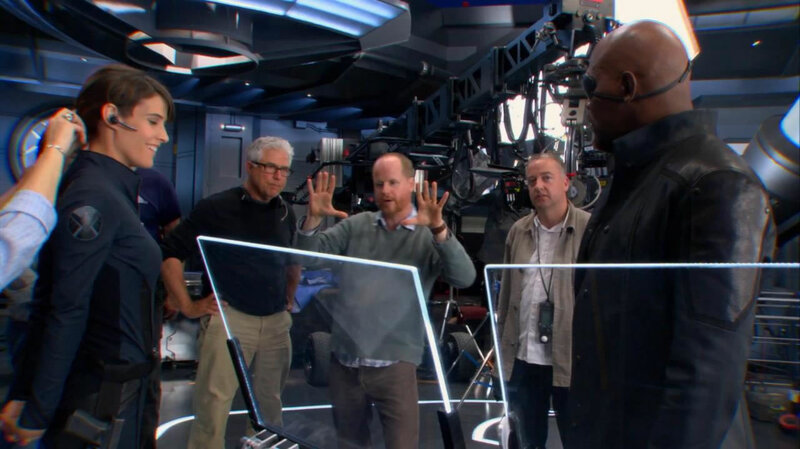 Since first being announced as the director of the movie, Joss Whedon has shown a lot of love and care for the project. And frankly, it’s bound to be an entertaining movie with that many charismatic actors with Whedon directing. The Avengers hits theaters May 4.